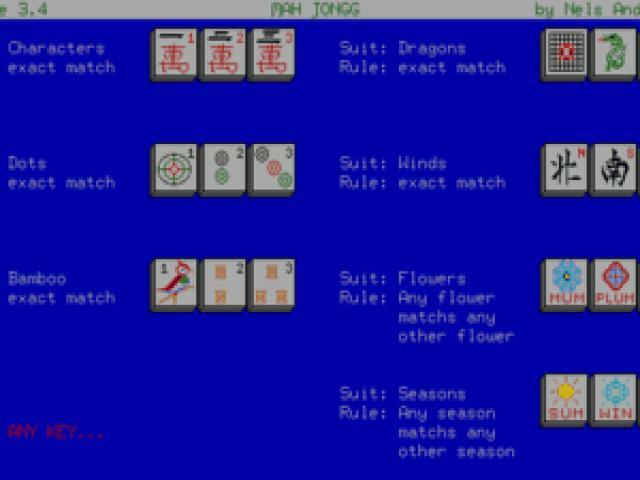 Mahjongg by any other name... oh, wait! 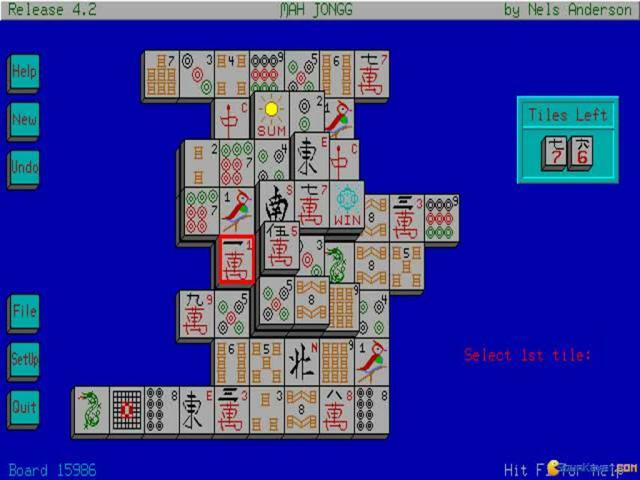 Here you go, a game of Mahjongg, top, down, graphically alright, definitely more than one could expect from a game released in 87. 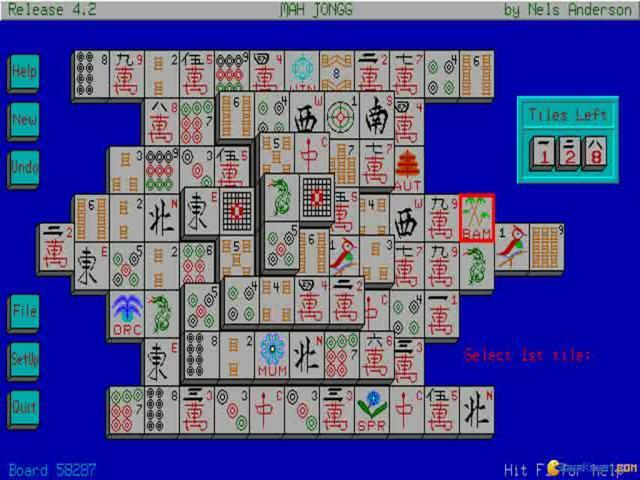 Mah Jongg, except for the name (hehe!) 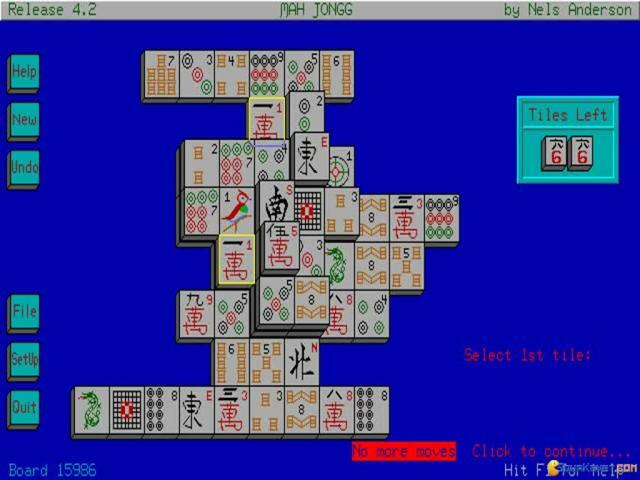 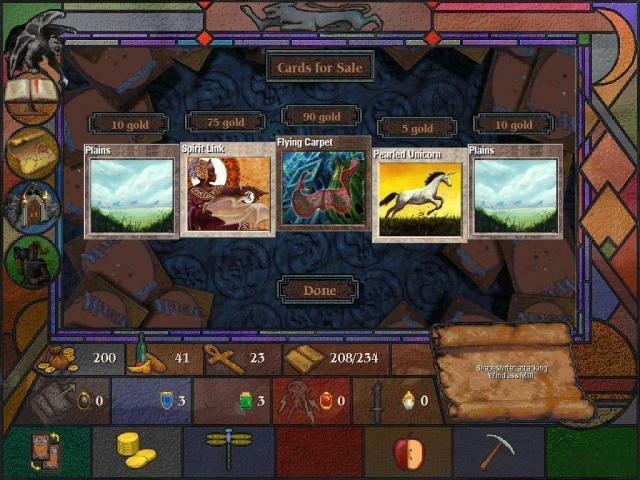 is a pretty vanilla take on Mahjongg, the antic solitaire with tiles instead of playing cards. In it, if you don't already know the rules of engagement, you will have to work your way towards emptying the board of times, which requires you to pay long term and short term attention; in a way this is a sort of Tetris game because it nurtures the same OCD kind of thing that Tetris does! And Tetris is also a game that is best played if your micro and macro strategies are impeccable! Sure enough, a game of Mah Jongg is worth sinking into, mostly because it's easy to play, technically. 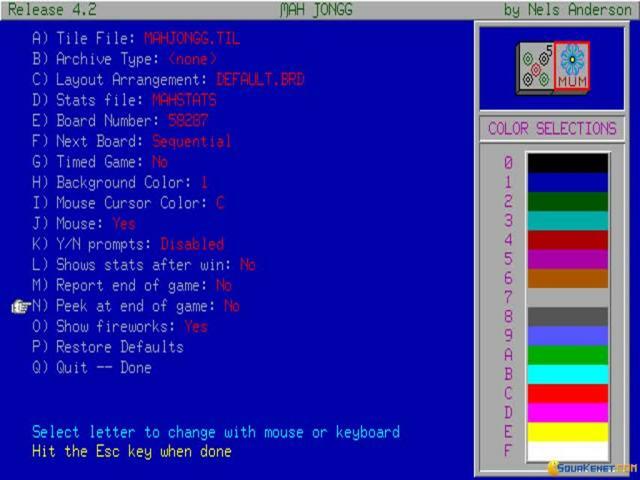 There are no issues plaguing this one. 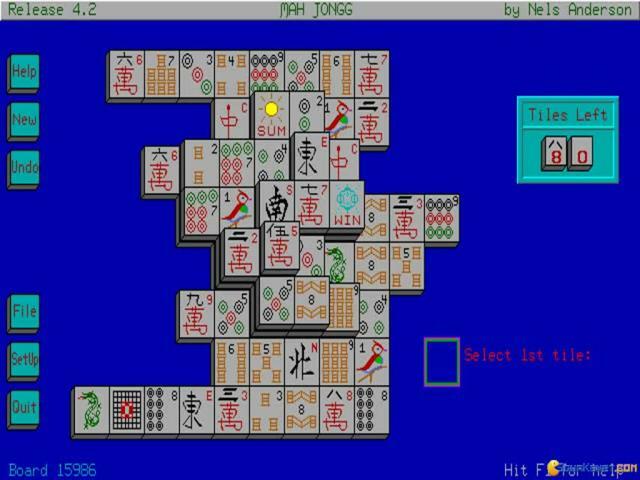 Nope, Mah Jongg plays well, animates well and it's clean enough to just let you sink into the experience. 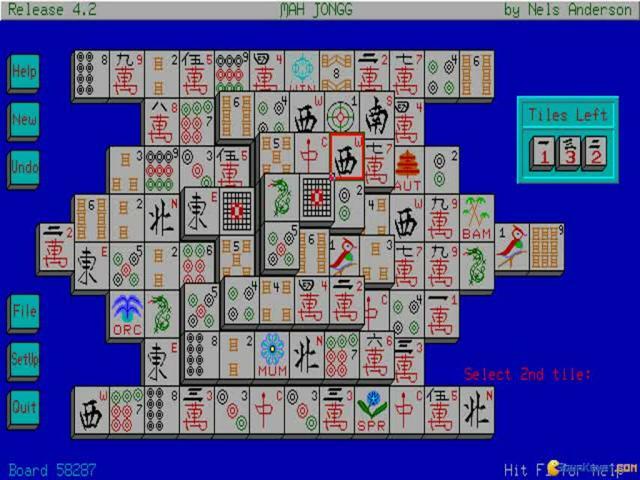 Surely, if you've got your Win 7, you might not really find a motive to play this one, since the OS comes with the game already preinstalled, (well not this one exactly, but its own version, hehe!). 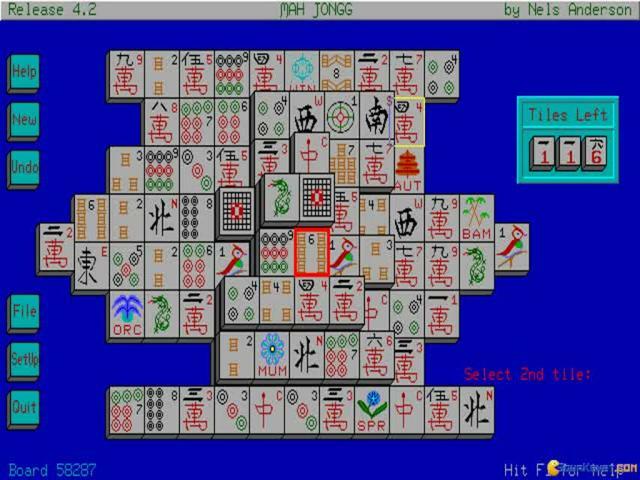 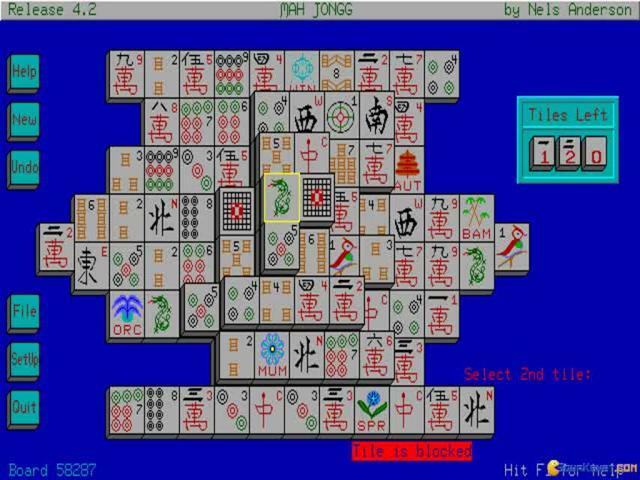 So, yeah, Mah Jongg is a good Mahjongg sim, well suited for anyone that doesn't use Win 7!